← PROVENCE SUMMER PAIRINGS: STUFFED SMALL MARSEILLE PEPPERS WITH A FRUIT-INTENSE RED — AN AMIDYVES FROM OLIVIER B. Entering the Château de Roussan through an alley of soaring plane trees, the austere edifice of this historical monument, which dates to the last half of the 16th century, is in full view. 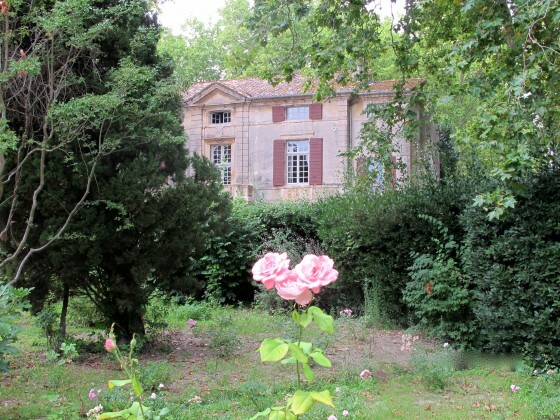 Captain Bertrand de Nostredame, the brother of Nostradamus, who himself resided in St. Rémy, was its first occupant. Encircled by arboreous parkland, streams, swans and wandering flocks of sheep, the tranquil Château de Roussan, only a minute’s drive from the center of St. Rémy, is an upscale hotel and restaurant with a wood-paneled library of rare books, overseen by Philippe Roussel et his wife Irène. 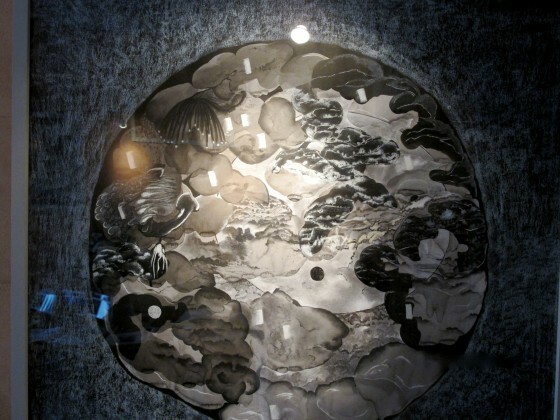 Within its ancient walls, the Château de Roussan is exhibiting the mystical creations of the French artist Françoise Vergier, a resident of the Drome Provençal. The landscape of her childhood burnished in her memory, Françoise Vergier recreates dreamlike images which find their creative force in the bond between the feminine body and the environment. Her fascination is the gravitational pull of nature — its physical, metaphysical and mythological power. Her non-urban poetic images combine aspects of painting, sculpture and design; her multitudinous materials include blown glass, neon, charcoal, indian ink, brass, painted glazed clay, pearls, tracing paper and gouache. A visit to view Françoise Vergier’s works, which are on display in the foyer, dining room and second floor library until August 17, may be combined with taking in the ancient splendor of the Château de Roussan, its greenhouse and park, and dining on its large graveled terrace. 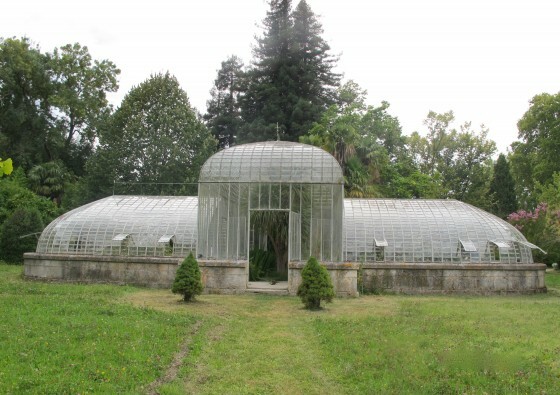 In the park of the Château de Roussan, the serene 18th century ornamental greenhouse houses hanging sculptures of artists Jean-Jacques Dournon and Paca Sanchez. 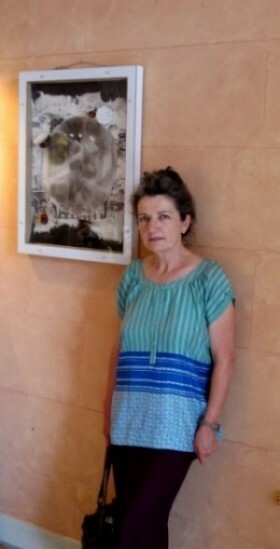 The APART Festival exhibit of Françoise Verbier, Paca Sanchez and Jean-Jacques Dournon at the Château de Roussan runs to August 17. 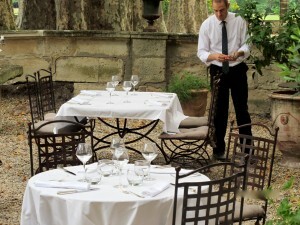 Château de Roussan: Hotel and Restaurant, Route de Tarascon, 13210 Saint Rémy de Provence, Tél. 04 90 90 79 00, Located 1.2 miles west from the center of St. Rémy, consult website for directions and info. This entry was posted in Culture and tagged AP'ART, Art. Bookmark the permalink.